Upgrade your meeting room with Zoho Show. 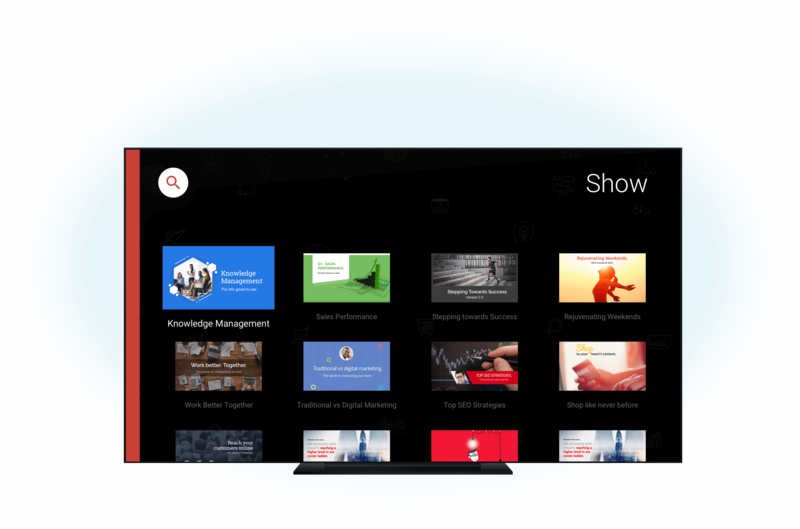 Introducing a presentation app built to compliment the modern meeting room - Show for Android TV. Use your device to stream presentations on your conference room TV or download the Show app for your smart TV and get the show going. Access presentations on your TV. The Show app for Android TV lets you leverage the ubiquity of wall-mounted meeting room TVs to your advantage. Log in with your Zoho account to access all your presentations. Then search or sort to quickly find the one you're looking for. Get your slides exactly how you want them. No more messy cables or blurry projector displays, your presentations will now look amazing on any TV screen. The Show app ensures that slides appear crisp and clean when you put them on a big screen. Control sessions from any corner of the room with an Android remote. Swipe left or right to navigate through your presentation, or swipe up to see a thumbnail view of your slides. With the Show app for Android devices, presenters can instantly cast their phone or tablet and control slides without a fuss. 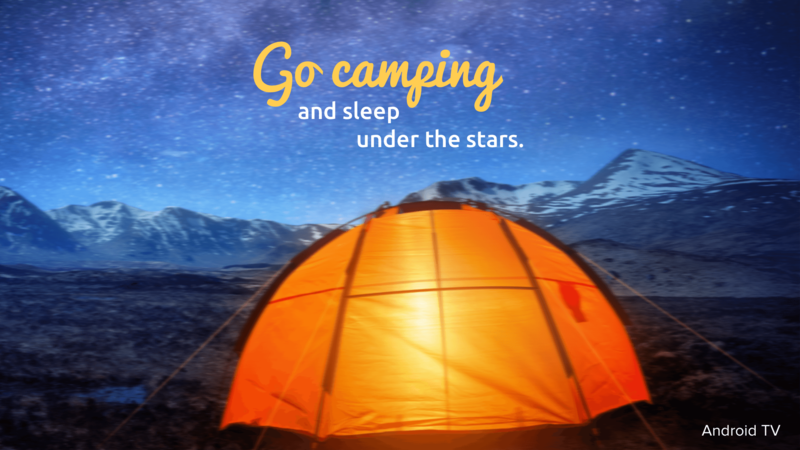 Forget the hassle of setting up. Simply walk in and start the show. Set up content-rich event spaces. Draw a crowd by digitally showcasing your presentations at trade shows and events. The Show app even lets you customize slideshows to run on a predetermined loop.